Top Five Business Executive Gifts - Just in time for Bosses Day! With the holidays and Bosses day coming up, getting the perfect gift can be stressful! You don’t want the gift to be too big or extravagant and you want the gift to be meaningful. Here at Memorable Gifts, we want to make it easier for you. Whether its a gift from you OR from the whole office, we have something for every boss type. Here are our top five Business Executive Gift ideas! 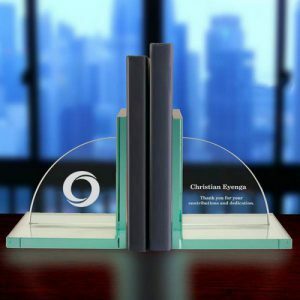 Personalized Bookends – A pair of bookends can make any office instantly feel more organized. Engrave their name, title and even company logo to make it even more special and sophisticated. 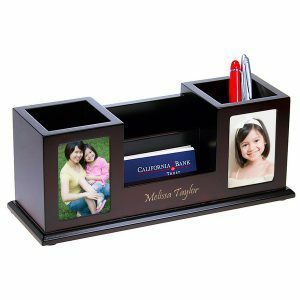 Desk Organizer – Help de-clutter their desk or office space with a neat organizer. Perfect to hold all of their important mail, documents and business cards and keeps all of their pens and markers in place. Add photos of their loved ones and Engrave their name and title to make it a truly special gift! Office Games – Working hard means that sometimes you just need to take a break! Taking a break to play a game can be helpful way to take your mind off of work and to get to know your coworkers a little better. 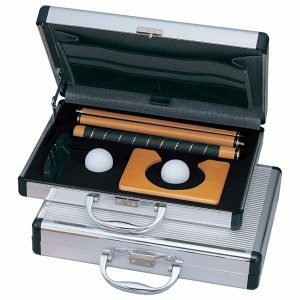 A personalized Game set, like this Golf Putter Set or this 7-in-1 Classic Game Set is the perfect addition to any office! Mail Organizer/Letter Opener – Classic and elegant, perfect for the neat-freak! 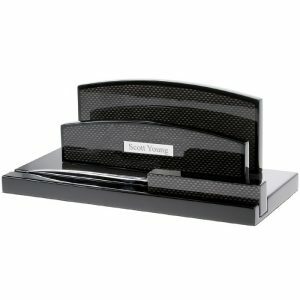 Help keep all of their important mail, bills and paperwork with this black carbon fiber style mail organizer and matching letter opener. Add their name or office title to really make it special! Desk/Mantle Clock – Just like a pair of bookends, a classic desk or mantle clock can instantly make the office feel organized and classy. Perfect for their desk or shelves an ornamental clock is always impressive. Add a company logo and their name and title to really make it pop! Help improve your office and the office of your boss and coworkers with special personalized corporate gifts. It really is a special feeling when you get something that was made specially for you! Bosses Day is coming up and what are you planning to do – Any special plans or ideas?? Drop them in the comments!